If there was a way with which you could combine your front camera obsession (oh come on! No point in denying it) and win exciting prizes, wouldn’t it be awesome. Well actually, there is! LIKE App allows you to make short videos with special effects and share it with the world. 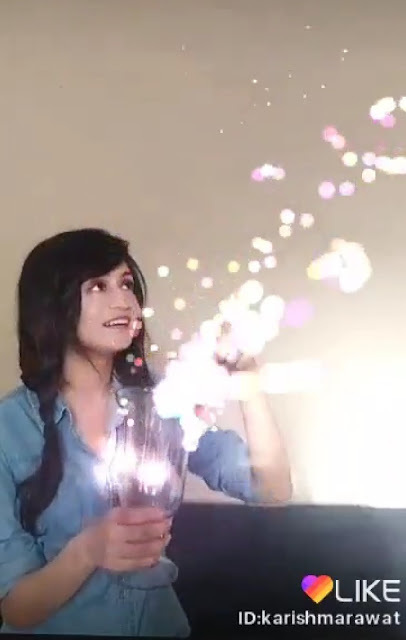 And with their ongoing #HappyDiwali challenge, you can win some really exciting prices while you make fun videos! 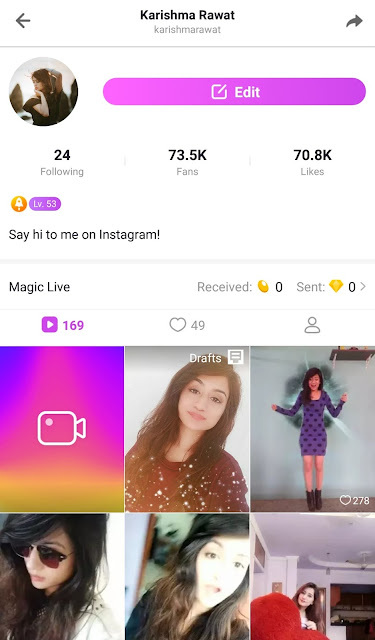 I joined the LIKE app in 2017 (go have a look at my profile @KarishmaRawat, I am currently on level 53!) and made tons of videos with my niece. Not only did we have a gala time creating comedy and dance videos, we even won a contest that LIKE was hosting last year. 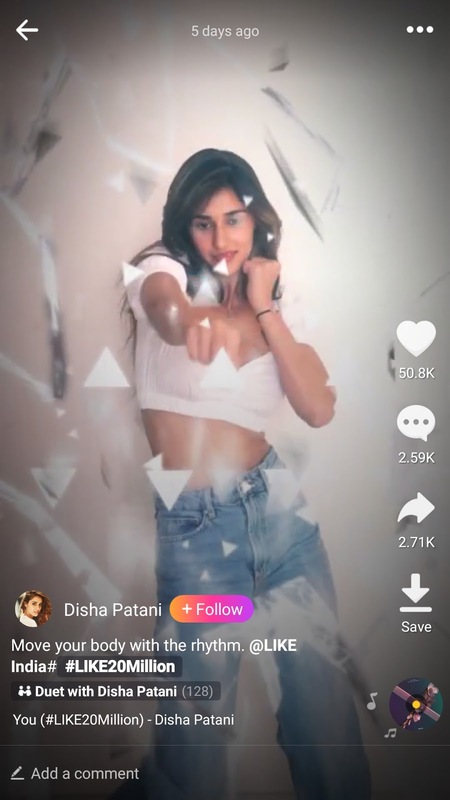 You can lip sync to songs, show your moves, use 4D special effects, use filters, use the music magic feature and do a whole lot more to make entertaining videos. 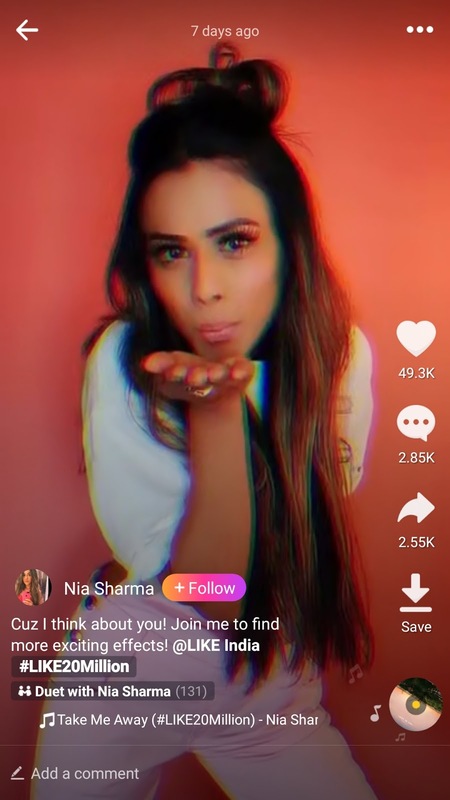 The best part about the app is that you can interact with the LIKE community from all over the world. All the cool kids have already joined the party. 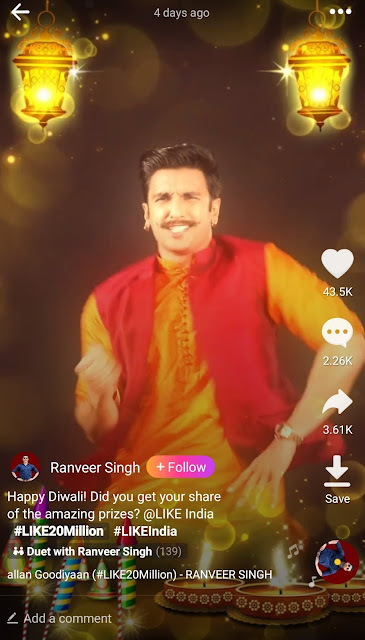 Celebrities like Ranveer Singh, Disha Patani, Sonakshi Sinha, Sunny Leone and many more have shared fantastic videos grooving to their favorite tunes for the festive season. What are you waiting for? 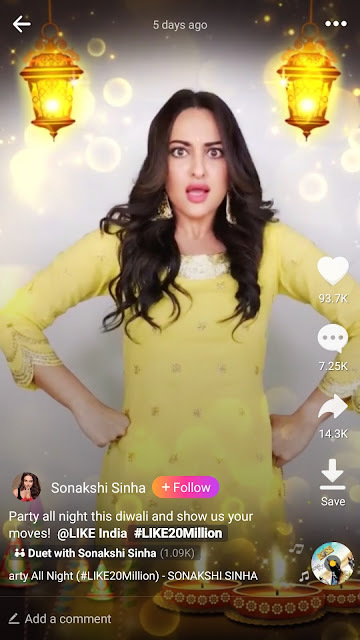 Download the LIKE App here and join the fun!